Video SEO is to be regarded as important to your video content as regular SEO – it does the same job. It will help your content get found. Working on your video SEO increases your visibility in organic search and across YouTube as a platform. It will promote your YouTube channel and it also gives your content a visible edge when shared on other social media platforms. Video SEO keywords need to be researched. What are the main keywords that best describe your video and business? Can they be combined? Ensure that you do keyword research to find the most popular search terms for your subject. After all, what good is it to rank for search terms that nobody looks for? After you have chosen the appropriate keywords, then ensure that you ping your YouTube channel to the myriad of update services so that Google and the other search engines will crawl. Video SEO means you need a catchy title. Nobody has ever persuaded anyone to read anything when there is a boring title. It’s the same for video. If you want to stand out, be sure to stand out! Make sure your video triggers interest in someone who’s searching, while still using your keywords. Even though technology advances every day, the Google/YouTube bots are still unable to watch your video to determine what it’s about. So this is where descriptions come in. A description box is also a place where you tastefully place some additional keywords, but don’t go overboard. In this way, the bots understand what your video is all about and rank it higher. There are multiple reasons for this. First we don’t want to forget the hearing impaired. You want to reach them with your message too. YouTube will automatically create a transcription through their voice recognition algorithm, but it’s not perfect. Which brings us to reason number 2. Because YouTube “knows” what your video says through voice recognition, they learn much about the content of your video for their search results. Make sure you have the correct transcription included in your video’s description to give it an extra good SEO boost. This gives the bots an extra thing for crawl and rank. Do you want to get your audience at certain points in your video to take an action? Do not overlook annotations. 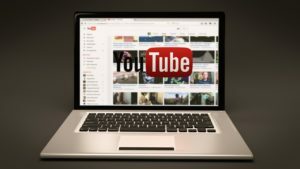 Don’t go overboard and have them running over the entire course of the video – no one wants to be closing boxes when they are meant to be watching a video. But strategically located annotations can get your viewers to head over to your website or other web location to take your desired action. Most people and companies that post online video don’t follow the basic best practices such as creating “compelling visual content combined with a well-designed title that includes your keywords and a call to action.’’ Generally speaking, the call-to-action should encourage viewers to do something. This includes making a phone call or visiting a site where they may be exposed to a product, service, or content that’s designed to turn them into buyers. You should create a video sitemap so you can provide metadata when you post a new video to “improve Google’s ability to integrate videos into search results,” according to Google. Sitemaps should contain HTML code that identifies video titles, descriptions, and other tags. These are many of the steps needed, and of course, doing these well to maximize video SEO takes lots of practice. Keep doing this and you will succeed. Or you can give us a call at Penrose Productions to get on the fast track for video SEO.